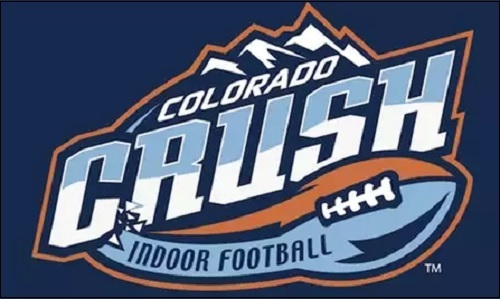 Colorado Crush kicker Miles Bergner has been named the Indoor Football League's Special Teams Player of the Week for week 18, the IFL announced today. Bergner also had been awarded that honor for week 17. Bergner, playing in just his fourth game for the Crush, made all five of his field goal attempts and all five of his extra point attempts in Colorado's 47-44 overtime loss to the Arizona Rattlers on June 16. Two of those field goals came from 41 and 43 yards out. He averaged 40.9 yards on eight kickoffs. Bergner finished his brief season with the Crush by converting on 12 of 14 field goals with a long of 53 yards. Both of the misses came from beyond 40 yards with one from beyond 50. He was a perfect 12 of 12 on his extra point attempts in his four games this season. He is averaging 41.2 yards on 31 kickoffs this season for the Crush. Crush defensive lineman Kwame Bell and linebacker Azziz Higgins were named to the Honorable Mention list for Defensive Player of the Week, and kick returner Daniel Lindsey was named to the Honorable Mention list for Special Teams Player of the Week. Nebraska Danger quarterback Drew Powell earned Offensive Player of the Week honors, and Sioux Falls Storm defensive back Rashard Smith was named Defensive Player of the Week. Powell went 17 of 23 for 167 yards, while rushing for 71 yards and five touchdowns, in the Danger's 59-44 win over the Wichita Falls Nighthawks on June 17. Smith recorded eight tackles and had a pick-six of 49 yards which helped secure the Storm's 45-24 win over the Iowa Barnstormers on June 17. The Barnstormers will visit the Storm in the United Conference Championship Game on June 24 at 3:06 p.m. The Danger will visit the Rattlers in the Intense Conference Game on June 24 at 6 p.m. Those times are pacific daylight time. SCtoC will feature previews of both those games. The Honorable Mention list for Special Teams Player of the Week consisted of: Lindsey, KR Trevor Kennedy (Spokane Empire), KR Tyler Williams (Wichita Falls Nighthawks), and K Sawyer Petre (Arizona Rattlers). The Honorable Mention list for Offensive Player of the Week consisted of: RB Andrew Pierce (Spokane Empire), WR Devin Mahina (Salt Lake Screaming Eagles), QB Lorenzo Brown (Sioux Falls Storm), and QB Verlon Reed (Salt Lake Screaming Eagles). The Honorable Mention list for Defensive Player of the Week consisted of: Bell, Higgins, LB Tyler Knight (Sioux Falls Storm), and LB Robert Haynes (Wichita Falls Nighthawks). The Crush finished their season 3-13. To comment on this article and other topics on this forum, please login or register.